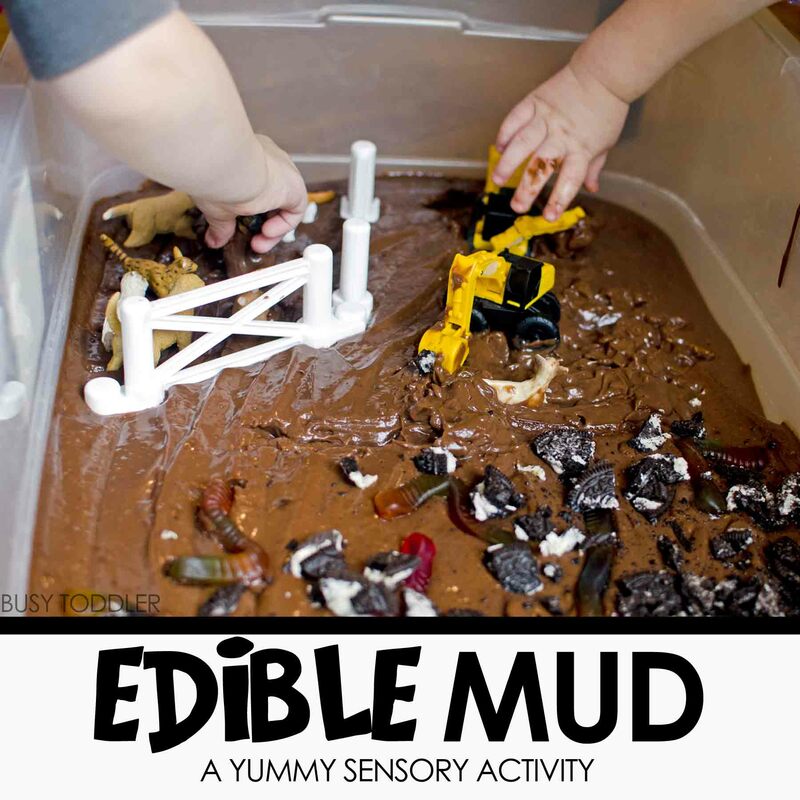 Have some yummy fun with edible mud! Are you familiar with the age.old.recipe for edible mud? 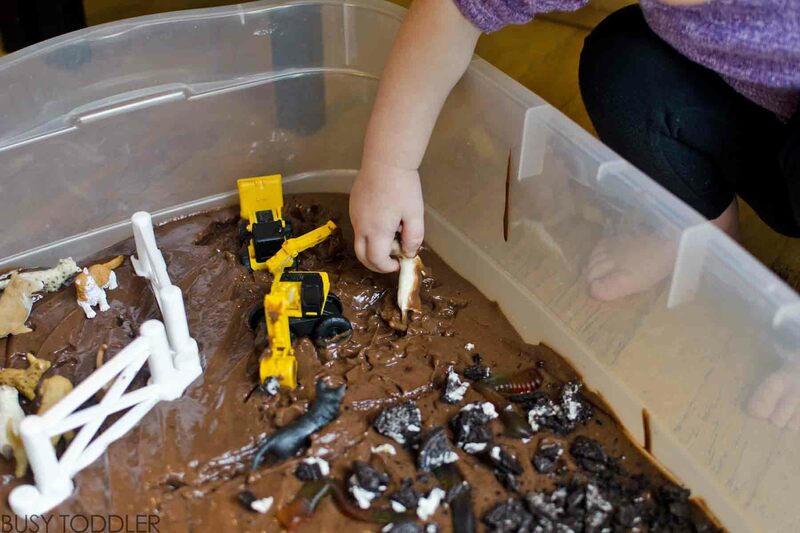 Because if you haven’t tried this with your toddler or preschooler yet, well… allow me to sell you on the idea of an edible mud sensory bin today. I promise it’s easy (messy) fun! Sensory activity are so great for toddlers! It allows them to learn and create in a safe, stimulating play environment. Toddlers learn so much by playing with their surroundings – especially when it’s messy play (ok that last part is just my opinion). 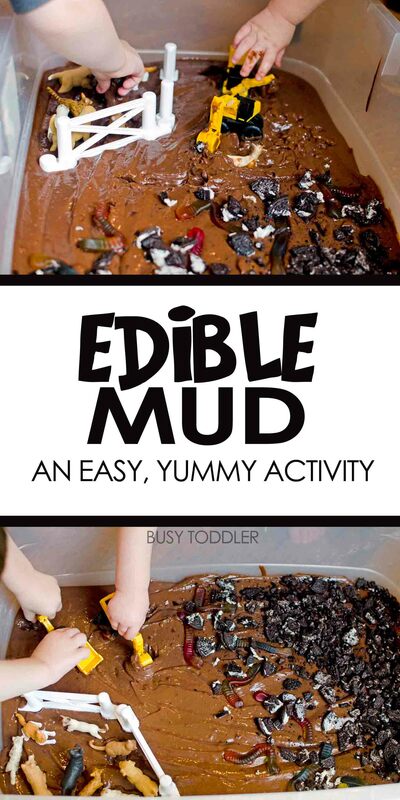 Setting up edible mud is so easy! I made this GIANT sensory bin for my two kids AND three of their toddler friends, so that’s why this activity is so large in scale. Had it only been my two toddlers, it would have been greatly scaled down. First, I mixed up the pudding and left it to set. 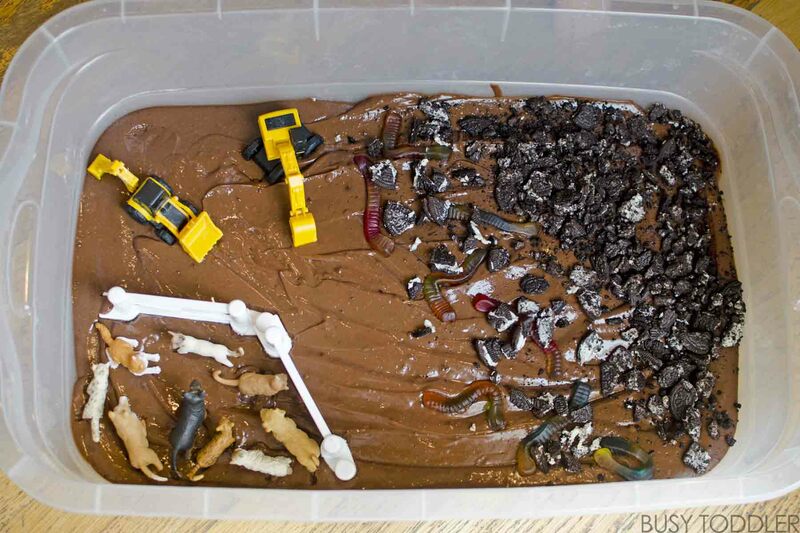 Then, I crumbled up Oreo dirt, hid some worms in the “mud” and added construction trucks / animals to give it an “on the farm” feel. The scene was set for some fun edible mud play! My kids dove right into this. They thought the pudding was a hoot to work with and loved pushing the construction vehicles throughout the bin. 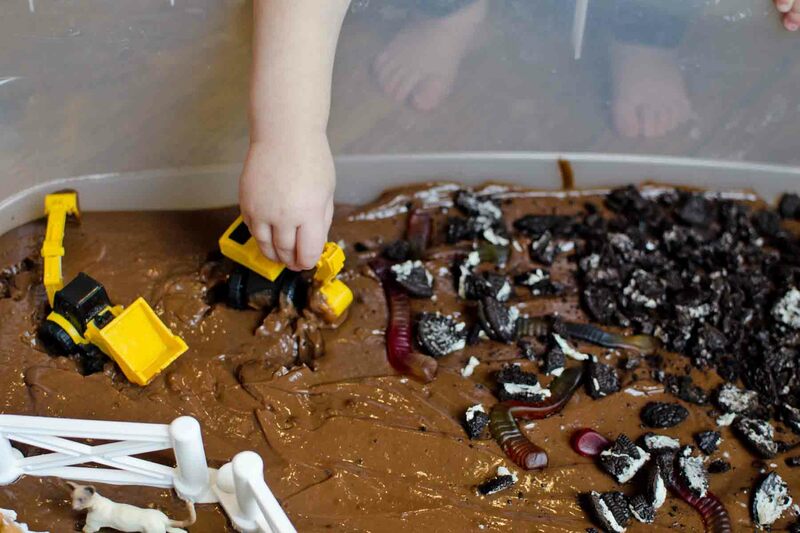 Scooping Oreo “dirt” became a game all its own! 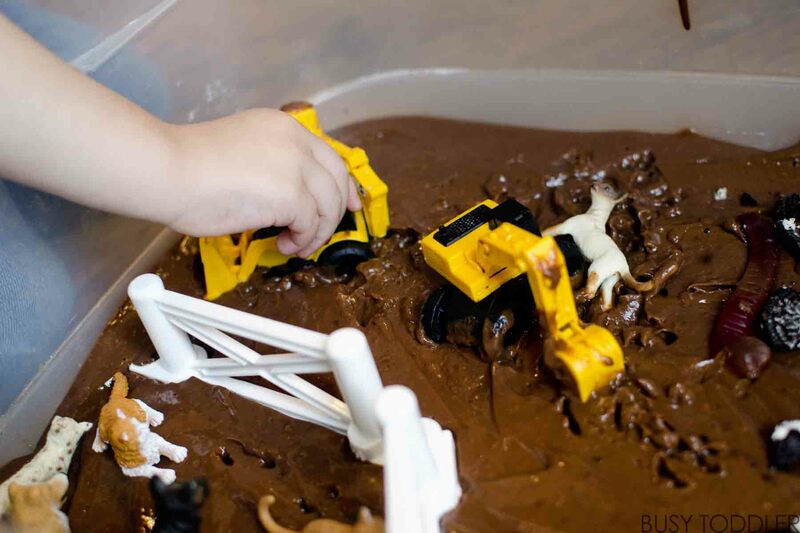 We chose to do this edible mud activity with three other toddler friends playing with us. Everyone was healthy, everyone was clean, and it was a fun “altogether” activity for the kids. They got so muddy and messy but had such a good time. Everyone went into the bath tub at the end for a good clean up – messy sensory fun is always better with friends (again, in my opinion). 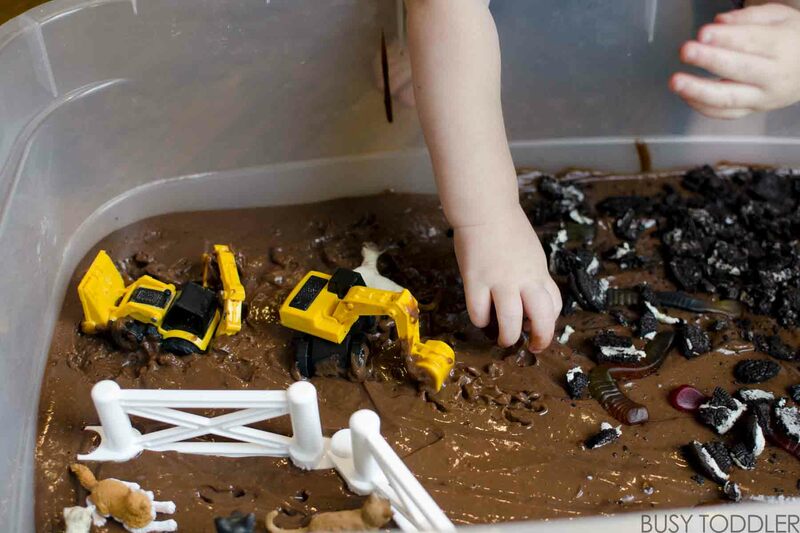 Building this edible mud sensory bin for my toddlers and their friends was the perfect play date activity. I’m so glad we did it! The kids can’t stop talking about it. Yes, they all ate plenty of sugar but this is a once in a while activity, so we didn’t mind at all. 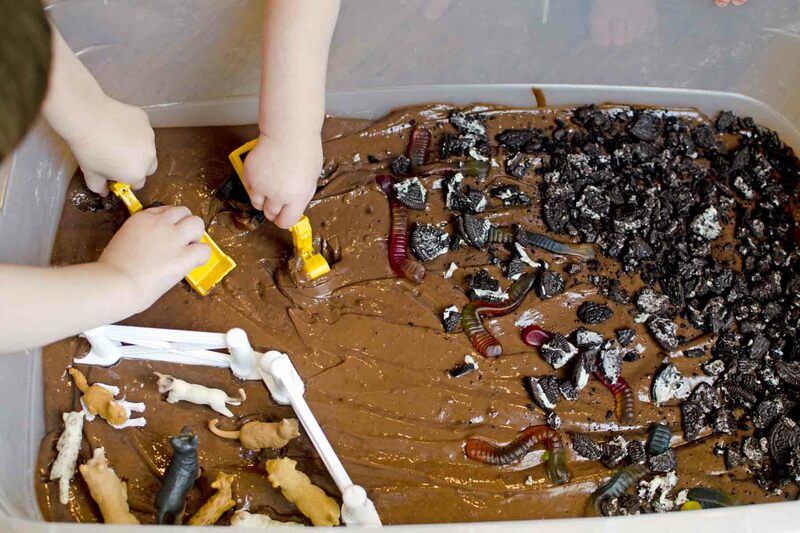 Would your kids love an edible mud sensory bin?